Teacher Tips and Tidbits: ZOOM IN - Making Thinking Visible in Kindergarten! ZOOM IN - Making Thinking Visible in Kindergarten! I love using Visible Thinking routines with my Kindergarten class. 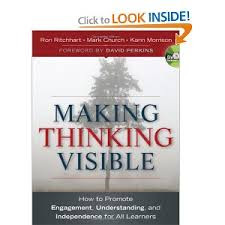 If you are not familiar with the Visible Thinking concept, you MUST jump on board! Here is the amazing book that started it all. The website has so many great resources for explaining the routines, using the routines, and even watching the routines in action. I can't say enough about how great these are for getting our students to THINK...not just regurgitate information. A couple of weeks ago, we planted seeds in egg shells in order to use them for this specific activity. Typically, we plant seeds with our students to watch them grow, track growth rates, etc... But this time, I really wanted them to dig into them - pun intended! After two weeks of growth and journaling, it was time to really have some fun. 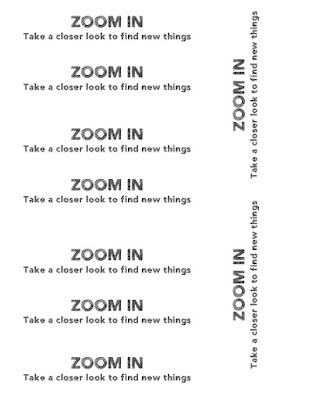 I introduced the ZOOM IN thinking routine to the students. We used our Science Notebooks throughout the process since I am trying to teach them the art of documentation. It's a process...a very slow but worthwhile process! The intent of this routine is to show students how much more you can learn when you just dig deeper. We take a 1st look, 2nd look, and 3rd look. "I saw stuff that's interesting." For the 1st look, a carton of egg shell seedlings was put on each table. They could only investigate with their eyes and in their seats. We had some great discoveries, even at this early stage. For the 2nd look, we ZOOMED IN a little closer. This time, the students could pick up an egg shell seedling, break it apart, touch it, feel it, and really "dig" into it. There were even more discoveries. For the 3rd and final look, we used magnifying glasses to really ZOOM IN! The students noticed root hairs that they had not noticed before. Some saw veins on the leaves, even though the leaves were so tiny. It was fascinating to hear their thinking expand! Visible Thinking routines are definitely NOT just for older students. These Kindergarten students rocked their thinking! If you would like to use the labels in your interactive Science notebooks, just click on the picture below to download!